I know what you're thinking. 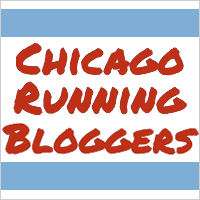 You're thinking, I wonder what it would be like if I saw Governor, Rod Blagojevich running down the sidewalk. Well, I'll tell you, it's freaking hilarious. 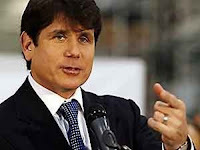 First of all, when first see the Governor running, you think, wow, that guy looks like Blago. Then, when you realize it is the ruler of the state of Illinois, you think, wow, Blago can't run at all. Then you think he's really sweating and huffing and puffing and barely moving his feet - it looks like he's about to have a heart attack. Then you think, I know I don't look wonderful when I run, but I look better than that. To be fair, this could have been the end of his run. Maybe he had just run five miles. Though I live about two miles away from him, so if it was the end of his run, I don't know how he was getting back. I didn't see any security detail with him, but that doesn't mean they weren't there. Anyway, it was a fun and funny thing to see on a Saturday afternoon as we made our way back from Target. I bought a curling iron and a hat and a pair of sweat pants and some new lip gloss. It was a good trip that ended even better. but i'd be more jealous if it was Rahm!